Hey Retrogaming gang. 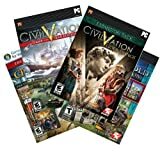 This thread is for weekly Amazon.com updates posted by the DP ServBot showcasing game releases for the present and near-future. Games are sorted by best-selling first and each week we'll get a new list of the Top 10 according to the 'zon. 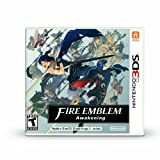 Hopefully this will prove to be a valuable resource for those of you trying to keep up with the newest game releases. Good collecting! FIFA Soccer 13 delivers the largest and deepest feature set in the history of the franchise. Five game-changing innovations create a true battle for possession, deliver freedom and creativity in attack, and capture all the drama and unpredictability of real-world football. Celebrate the upcoming release of Resident Evil 6 with the complete library of Resident Evil 1-6! Included in this PlayStation 3 exclusive package is the latest installation of the blockbuster series, Resident Evil 6, along with digital copies of Resident Evil Director's Cut, Resident Evil 2, Resident Evil 3: Nemesis, Resident Evil 4 HD, and Resident Evil 5 Gold Edition redeemable on the PlayStation Network. The American Colonies, 1775. It's a time of civil unrest and political upheaval in the Americas. As a Native American assassin fights to protect his land and his people, he will ignite the flames of a young nation's revolution. Assassin's Creed III takes you back to the American Revolutionary War, but not the one you've read about in history books. 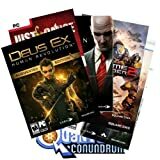 Absolutely Great Square Pack includes the following games: Deus Ex: Human Revolution - Augmented Edition Deus Ex: Human Revolution - The Missing Link DLC Hitman: Blood Money Just Cause 2 Just Cause Supreme Commander 2 The Last Remnant Quantum Conundrum Requires Steam Client to activate. Halo 4 Xbox 360 S English NA NTSC DVD. 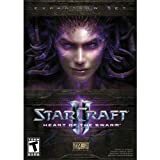 2 discs - The first disc is the Campaign. The second disc is focused on Multiplayer and Spartan Ops. Typically Disc 2 is installed on the HD so that you never have to switch discs. Beware: There is no place in Dark Souls that is truly safe. With days of game play and an even more punishing difficulty level, Dark Souls will be the most deeply challenging game you play. Can you live through a million deaths and earn your legacy? 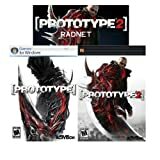 Prototype Pack includes the following games: Prototype Prototype 2 Prototype 2: Radnet DLC Pack Requires Steam Client to activate. Nintendoâ€™s classic Paper Mario franchise gets a fresh 3D look in its hand-held debut. Stickers are the backbone of Marioâ€™s newest adventure in which players use stickers found in the game to not only win battles, but to solve puzzles as well. 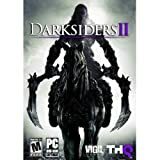 The Tantalizing THQ Medley includes the following games: Homefront Metro 2033 Red Faction Armageddon Red Faction Guerrilla S.T.A.L.K.E.R. : Shadow of Chernobyl Warhammer 40,000: Space Marine Requires Steam Client to activate. 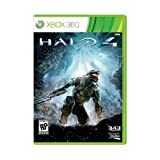 Microsoft Xbox Halo 4 Xbox 360The Master Chief returns to battle an ancient evil bent on vengeance and annihilation. Shipwrecked on a mysterious world, faced with new enemies and deadly technology, the universe will never be the same. Enlist aboard the Infinity to experience Halo's original multiplayer and Spartan Ops - episodic fiction-based co-op missions. 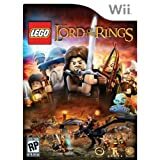 Includes: Black Wii U Console, one Black Wii U GamePad controller, Wii U GamePad Stand/Cradle Set, Wii U Console Stand, Nintendo Land Game Disc. Just Dance and Disney are working in collaboration to create the greatest dance game for the whole family - Just Dance: Disney Party on Wii. Dance like a star to 25 songs from classic Disney movies and Disney Channel's hottest shows. With an amazing selection of family favorite songs, fun dances, and kid-friendly gameplay, children of all ages can dance along with family and friends! 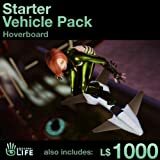 Get started with the basic Second Life Starter Vehicle Pack, which includes 1,000 Linden Dollars (virtual currency) and a designer hoverboard. Use your virtual currency to customize your avatar with high-quality clothing or characters, weapons or other enhancements. Show off your moves with a unique hoverboard that lets you skim across land, water or sky. Frozen in our world. Alive in Theirs. For Generations, the Skylanders have used their magical powers and weapons to protect Skylands. But now, an evil tyrant has frozen them and banished them to Earth. Only you can put them on the Portal of Power and bring them to life to save Skylands forever. Each Skylander has their own unique powers and abilities to enhance your game play experience and save Skylands. Whatever your level, whatever your goal, with Nike+ Kinect Training you can now experience personal training, at home. Using real time feedback and elite level coaching, Nike+ Kinect Training delivers a personalized program that evolves as you do. * The ESRB rating icon is a registered trademark of the Entertainment Software Association. 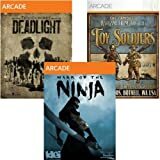 The Microsoft 5-Game Arcade Pack includes the following games: DEADLIGHT Insanely Twisted Shadow Planet Iron Brigade Mark of the Ninja Toy Soldiers Requires Steam Client to activate. Bringing you a true sequel to James Cameron's classic Aliens, get tooled up with classic Marine weapons including pulse rifles, motion trackers and flamethrowers. 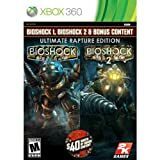 Set during the fall of Rapture, players assume the role of Plasmid test subjects for Sinclair Solutions, a premier provider of Plasmids and Tonics in the underwater city of Rapture. Players will need to use all the elements of the BioShock toolset to survive as the full depth of the BioShock experience is refined and transformed into a unique multiplayer experience that can only be found in Rapture. After a brutal storm destroys the boat she was travelling on, a frightened young woman is left washed ashore on an unknown beach. On her own but not alone she has only one goal, to survive. Here begins the first adventure for a young and inexperienced Lara Croft in a story which charts the journey of an ordinary woman who finds out just how far she must go in order to stay alive. â€œGears of War: Judgmentâ€� delivers the most intense and challenging â€œGearsâ€� game yet, with a campaign that takes you back to the immediate aftermath of Emergence Day â€“ the defining event of the â€œGears of Warâ€� universe â€“ for the very first time, and tests your mettle in highly competitive new multiplayer modes. 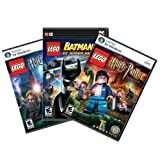 Can Amazon Video Game Trade in Credit be Used towards an Amazon Game Preorder? FS: DVDs! New releases, recent releases!